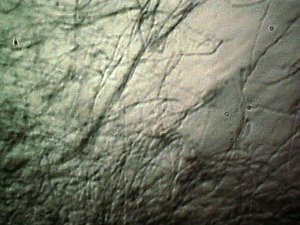 The growth of the bacterial-like organisms that appear to be at the foundation of the so-called Morgellons condition has been positively inhibited. The basis of the rationale that is used in these trials has been outlined in detail in a previous report entitled Morgellons : A Discovery and a Proposal1. The basis of that report is the application of a set of specific antioxidants that inhibit the growth of the organism(s) in the presence of the hydroxyl free radical and the creation of a more alkaline environment. It has been established in that earlier report that the organism(s) thrive in an acidic environment in the presence of the hydroxyl radical and oxidizers in general. The basic strategy that has been adopted is a transformation of the growth environment to a more alkaline condition along with adding specific antioxidants that are directed toward the scavenging of the hydroxyl radical. Please also refer to the earlier paper for the rationale behind the selection of the particular antioxidants that have been used. There is absolutely no statement herein that indicates the particular organism(s) has been terminated or extinguished, only that growth of the organism(s) under the specific conditions and trials mentioned has been inhibited. There is no assurance that all agents used in these trials is required to produce these results, nor that they be used at the arbitrary dosage levels that have been chosen for the cultures. Future work will examine the reduction or restriction of these same agents and dosages with the goal of replicating the results. This paper shall be brief as it confirms the proposal of the preceding paper more explicitly. The primary purpose of the paper will be to demonstrate the inhibition that takes place in confirmation of the earlier work and to enumerate the specific antioxidants that have been used in these trials. There remains an overwhelming amount of work that remains to be done, and these results simply promote one particular strategy that is worthy of exhaustive and intense study. It is anticipated that other antioxidants that emphasize scavenging the hydroxyl radical and that alkalize the growth environment may also be effective. An overview of the trial results. The top two petri dishes demonstrate the early stages of the growth of the bacterial-like forms that precede and lead to the growth of the filament stage as outlined in earlier culture reports. The growth medium is white wine as has also been discussed previously. This repeatable growth stage occurs in an acidic environment in conjunction with the presence of the hydroxyl free radical. The presence of the hydroxyl radical is established with the use of Fenton’s reaction (iron sulfate and hydrogen peroxide) as has been discussed previously. The top two dishes have no attempts to inhibit or reduce their growth. 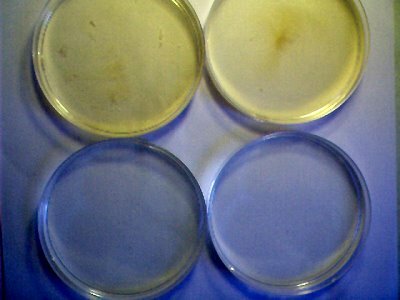 The bottom two petri dishes are the same culture trials but subjected to the presence of three specific hydroxyl scavenging antioxidants at the beginning of the trial. The specific antioxidants being used are that of ascorbic acid, sodium citrate and glycerol. Please refer to the earlier paper2 and references for the rationale behind the selection of these specific hydroxyl scavenging antioxidants. In the lower two dishes the bacterial-like stage of the growth process does not succeed at any level commensurate to that of the above. The growth of the early stage of the culture in an unrestrained form in more detail. Examination of the detailed morphology of the culture requires high level magnification (approx. 10,000x) and has been reported on extensively in earlier papers. This culture is approximately 3 to 4 days old. The growth of the early stage of the culture in a restrained form in more detail. The culture has been subjected to three specific hydroyl radical scavenging antioxidants : ascorbic acid, sodium citrate and glycerol. 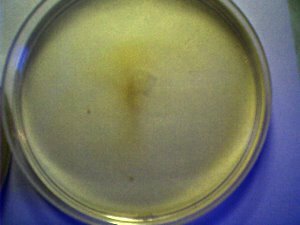 The absence of the bacterial-like stage of growth of the culture is apparent. This culture is approximately 3 to 4 days old. 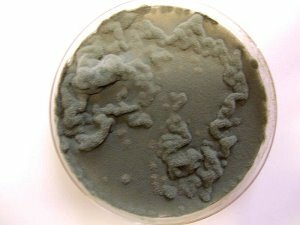 A more advanced stage of the bacterial-like (chlaymidia-like and mycoplasma-like) growth of the culture under conditions identical to that immediately above. This culture is approximately 1-2 weeks old and is in white wine. The success and advantages of the white wine and clear culture (simulated wine) has been previously described. The more advanced stage of surface filament growth in a wine culture medium as has been reported on extensively and as developed by an independent researcher that is in the process of duplicating a portion of this work. This photograph represents the first presentation of the filament stage of growth in a white wine vs. a red wine environment. This demonstrates the lack of dependence upon the color of a red or white wine to produce this culminating stage of growth. 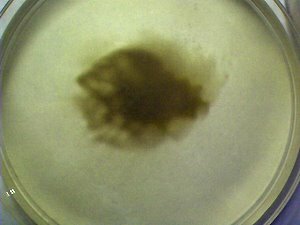 This culture has been developed from a separate red-wine filament culture and not from the bacterial stage exhibited above. 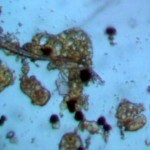 This filament growth is identical to that which originates from the dental sample cultures that have been reported on extensively in this site. The filament growth exhibited here has also been shown to be identical in form, size and structure to that developed from certain environmental samples, namely that which has been refused for identification by the U.S. Environmental Protection Agency. 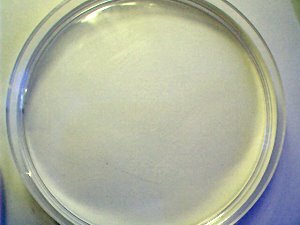 A view of the developing bacterial-like stage of growth in the petri dish as shown above under relatively low magnification, i.e., approx. 300x after approximately 3 to 4 days. This is the unrestrained growth example that is presented above. 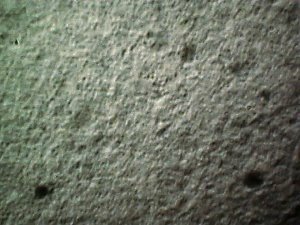 The general gross structure of the colony can be examined at this level, but individual detail requires high magnification (approx. 10,000x). The growth in this photograph is substantial and appears as essentially a continuous layer of growth under the microscope. 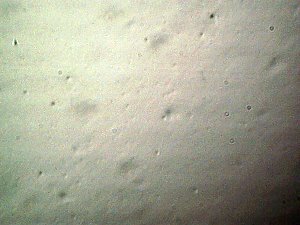 Another view of the developing culture at approximately 300x. This photograph is showing the emergence of the filament stage of growth within the culture; this filament stage is not visible by eye. Individual detailed study of the early growth of the culture requires high magnification (approx. 10,000x). The restrained, or inhibited, growth of the culture under relatively low magnification (approx. 300x) in the petri dish at the end of the same time period, i.e., approximately 3 to 4 days. The lack of growth is apparent. Essentially what is being viewed here is the bottom surface of the petri dish looking through a white wine solution. The particular set of antioxidants chosen (under a specific and arbitrary dosage level) successfully inhibits the further development of the culture. The white wine medium in each dish is 30 ml. At this point, no distinctions in growth have been determined between different varieties of wine, either red or white. The white wine cultures offer the advantage of clarity in observation. Approximately 30 mg. of ascorbic acid has been added to the volume of 30 ml of white wine (approx. 1000 mg. / kg of solution). Equating this roughly to the human body (assume 70 kg. ), this translates to a single dosage of approximately 70 gms. Assuming an ingestion of 1000 mg per day, this equates to distributing the above dosage over a period of approximately 70 days to reach the equivalent result. An ingestion rate of 10,000 mg. of ascorbic acid per day leads to a time period of approximately 7 days to reach an equivalent result. This example points out the outstanding and continuous need for all individuals to consult with their own medical professionals to manage their own individual health requirements and objectives; I have not and I will not provide any medical or diagnostic advice. I have reported and I will report on laboratory conditions and the results achieved from that work. Approximately 0.1 ml (~.126gms.) 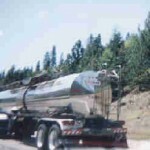 of glycerol (USP) (glycerine) has been added to the volume of 30 ml. of white wine (equates to approx. 4.2 gms / kg.). To equate 25 mg. / kg. as referenced in the latter report to a human body, this equates to a daily intake of approximately 1.75 gms. / 70 kg. From the former report, LD50 (lethal dose 50% probability) orally of glycerol is therefore approximately 12.6 gms / kg. for rats. This equates to approximately 882 gms. per 70 kg. of the human body. At 25 mg. / kg., 4.2 gms. / kg. is to be distributed over a period of approximately 168 days to reach an equivalent dosage. Approximately 0.25 ml of sodium citrate solution has been added to the volume of 30 ml. of white wine. The sodium citrate solution has been prepared by combining lemon juice with baking soda to reaction completion. 1. 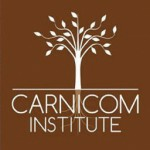 Carnicom, Clifford, Morgellons : A Discovery and a Proposal, https://carnicominstitute.org/wp/7471-2/, Feb 22, 2010.